Now that Grace is no longer eating baby food, I'm always looking for new food options for her. Grace loves fruit. She really loves fruit. If she's eating a cookie and I put some pear slices on her tray, she quickly drops the cookie and gobbles up the fruit. Fresh fruit isn't always convenient. It can be messy, sticky or just a hassle to dice up when we're away from home. Plus, some fresh fruit (like bananas) just spoils quicker than we can finish it. That's why I was very excited when we had the chance to sample some Brothers-ALL-Natural Fruit Crisps at our local Costco. Grace quickly finished the 2 little sample cups of the freeze dried fruit that the nice lady handed to her, so we purchased a box of 3 assorted flavors. 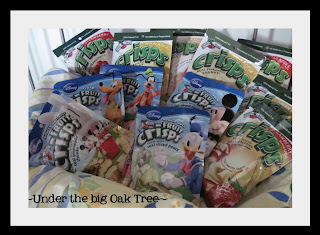 Brothers-ALL-Natural Fruit Crisps are also available in packages that are marketed towards kids featuring Disney Characters such as Mickey Mouse Clubhouse, Cars, Princess, & Toy Story. Grace's favorite flavors seem to be the Asian Pear and the Strawberry/Banana. But that's just my guess. She eats all of the flavors and has never turned any of them down when I offer them to her. Each package of Brothers-ALL-Natural Fruit Crisps contains 100% all natural fruit slices equal to 2 servings of fruit. That's it. Nothing else. No Preservatives. No added sugar. No fat. No HFCS. So, I have no problems with giving these to Grace every day. She gobbles them up as if they are candy and they are nothing but fruit! With the same nutrition as fresh fruit! Gotta love that! Also, unlike fresh fruit, they have a 1 year shelf life! Grace eats 1/2 of a fresh banana just about every day, I like to keep the banana flavored ones to give her when we are out of fresh bananas and don't want to run to the store just for one thing. Snack time at home for Grace. Something sweet without added sugar. 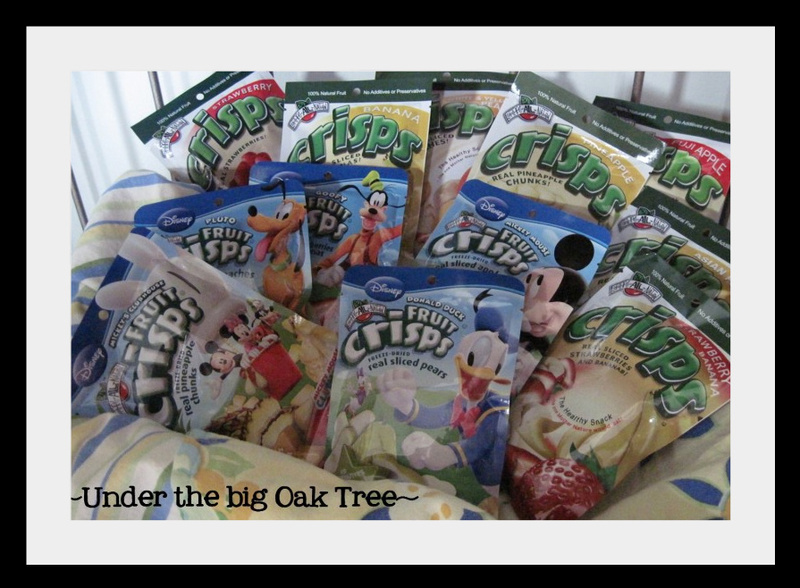 I keep a package in the diaper bag for easy, on-the-go snacking. Joe keeps a few packages in the truck for those days he doesn't get a chance to stop to eat while at work. I like to add some dried apples to my morning oatmeal. 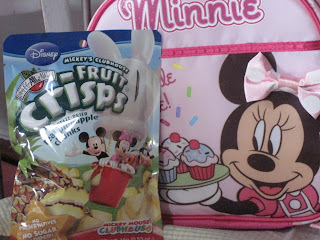 Also, Fruit Crisps would be a wonderful, healthy snack to add to your school-aged child's lunch box. If you are interested in purchasing some freeze dried Fruit Crisps for your kids' lunches, you can place an order online at Brothers-ALL-Natural or you can click here to find them in a store near you. Also, click here, to see current on-line specials. Disclosure: The product featured in this review was given to me by Brothers-ALL-Natural. The opinions and views of the product mentioned in this post are my own. I buy these all the time! They are awesome. The package at my Costco are the apple, strawberry/banana and pear. I would LOVE to try the others. I need to look around for those. Thank for the review! Oh, I never seen these before. They would make great additions to lunch boxes. I love that they have disney characters on the. Great review. Very informative.